If you’re wondering how other property management companies seem to be growing doors and raising their profiles in the market, cloud computing is one of the ways they’re successful. Your customers should know you’re on the cloud with ManageCasa, because it tells them: you’re affordable, secure, up to date, powerful, smartphone friendly, are communications friendly, and that your business is streamlined. We’ve got a big list of key business benefits of having your system hosted on cloud infrastructure below. Being on the cloud is something you should communicate right on your property management website. Cloud Enabled Software is the Now! The charm of old practices will dull further over time as Millennials make up more of your customer base. And even babyboomers and Gen Xers love using their smartphones for everything. And you yourself will see your business thrive with ManageCasa on the cloud. The better efficiency of managing properties (including accounting, lease renewal, online payment, wireless device compatibility, tenant communications, CRM, maintenance improvements) via the cloud makes this a must have. This is a big reason why ManageCasa is so affordable yet still delivers such amazing user friendly results. That’s driving all software development going forward, including property management software. If the whole property management cloud confuses you, let’s take a dive into understanding this amazing technological achievement (even if you don’t have to know). Everyone’s moving to the cloud, and it’s exciting. Does your business have to move to the cloud? The answer is yes. The cloud is so powerful and beneficial, that other software solutions can’t compete. 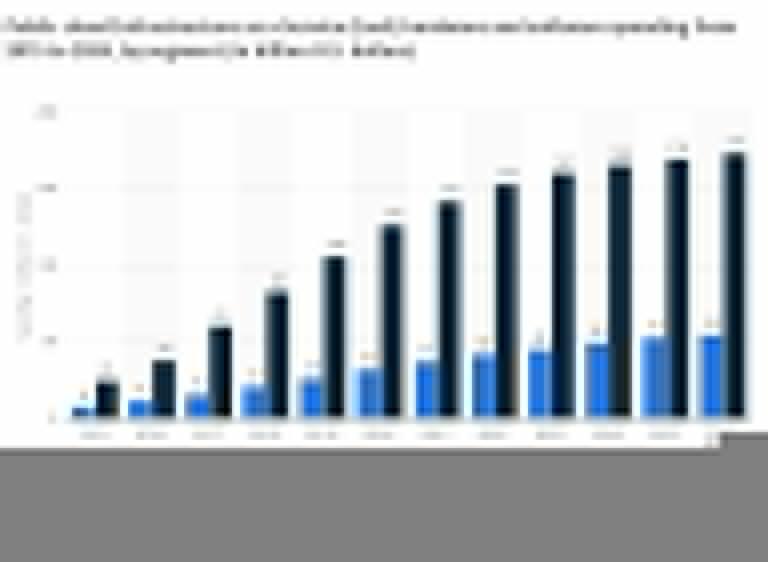 Cloud adoption is the biggest trend in the software industry. The cloud is just millions of connected computers that share their empty space and processor time to other users who need it. Yet the cloud has become much more than a giant hard drive. Turns out that that when property management software uses the cloud as a platform, it gains a huge array of security, power, speed, and capability. You may have heard of Amazon, Google and Microsoft’s cloud services, and they are popular. They all compete with one another to make computing cheaper, better, faster and more secure. That’s why your software should be hosted on the cloud. These companies have resources to make it cheap, powerful, efficient and more secure. Your business leverages the strength of this amazing system. Many of the property management apps you might be using need the cloud just to be compatible with web browsers and smartphone operating systems. ManageCasa is hosted on the cloud and it gives our customers these big advantage in performance while making it a very affordable solution for you. Check out more about what to look for in the best cloud property management software. There are hundreds of benefits, but the main ones are listed below. If your property software is running on an old legacy, self-hosted platform, consider it a business liability and a threat. The best property management companies have adopted cloud based solutions and are creating a sustainable business advantage for themselves and their customers. 1. Lower Cost The cloud is a network of computers which share technical computing resources. Legacy systems on the other hand need to be hosted on a local server with an administrator. That’s expensive. Because cloud systems are so vast and provide so many services, it’s comparatively inexpensive in contrast. Savings in price is thousands of dollars in hosting, administration, and programming.Maintenance, upgrades, and more are handled by the cloud hosting company. And if you have a wordpress blog, they have the resources to ensure its fast and not easily hacked. 2. Improved Compatibility and Performance The gigantic cloud system offers many services and software compatibility benefits whether mobile or desktop, via Windows or Linux. It allows PM systems to leverage an exciting variety of new cloud-based landlord apps or property management apps. Many of the new apps and other services are increasingly only available on the cloud. This is where computing is going. Instead of software entrepreneurs developing solutions for the old Microsoft or other achaic software, they’re zeroing in on cloud applications. If you like working remotely via tablet or smartphone connnected to a local coffee shop wifi, you have that luxury with cloud based systems. If you want to add in a business boosting app, you can do that quick. 3. Better Security Although having data stored on outside servers may seem risky at first, the big cloud server/hosting firms such as Amazon AWS, Microsoft Azure, IBM, Salesforce, and SAP offer the latest in data encryption, firewall and other security tools. That level of security isn’t available on small local servers. The threat of hacking is always there yet these companies have better software and hardware resources, top notch data encryption, as well as trained security professionals to better identify hackers in real time. That means they’re actually more secure. Cloud hosting companies can watch network activity better and respond quicker to attacks originating from anywhere in the world. Let’s face it, there are bad people out there and they can hack into small proprietary systems much easier. When your legacy software connects to customers or staff, its an opening for hackers and other criminals. 4. Infinite Scalability In terms of the number of users, computing, and data storage is concerned, the cloud has infinite resources. That means cloud based property software can respond instantly to your company’s needs. No bottlenecks, downtime, and crashes due to restrictions. No matter how many units and tenants you have in your system, it functions the same. That’s a source of confidence for large and fast growing property management companies who don’t want downtime and the frustration of hosting on a completely new system. 5. Easier Collaboration Your staff, landlords, contractors and tenants are very important. Cloud based property management software enables easy, secure collaboration with a variety of tools. You can all connect with them anytime, anywhere via any device, and everyone can access their data and accounts without problems. 6. Disaster Recovery and Automatic Updates. Your ManageCasa software is always updated negating the need for manual action from a IT technician. And if you should have a computer failure or are hacked, your system can recovered and redeployed much faster. For a large property management company, this is peace of mind is very important. Downtime can be costly. The cloud makes online rent payment, real time accounting, easy document management, and better availability to tenants. Since mobile property management is becoming the standard, an investment in the cloud is going to make that come true for you. This ease, efficiency, low cost all add up to a powerful value proposition to tenants which ensures your cash flow is preserved. That in layperson’s terms, is why cloud based software systems are a boon to property managers and landlords. Try a free trial of Managecasa and see how this can revolutionize your PM business. 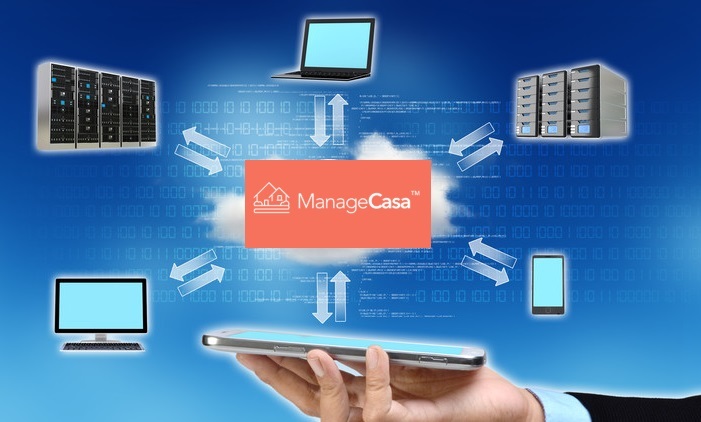 Try ManageCasa and discover how a cloud based property management software creates solid business value.